We recently got our first Harley. It’s a 2005 Road King Classic. It’s our first motorcycle together in the 12 years that we’ve been married, though it’s been on our bucket list for years. A couple weeks after we got it, Jim signed up for a Motorcycle Rider Education course through the MidTenn Motorcycle Education Center. The class cost $200. The class size was limited to 10 riders. They met 2 days in a row one weekend and took both a paper test as well as a riding test. It was great because Jim learned everything there is to know about riding a motorcycle in a very short time and he was able to get his motorcycle license the next day! Plus, many of the things learned in that class have come up in our conversations together and when we’ve been out riding the bike. It’s amazing how much he learned in such a short time. We didn’t waste any time before we planned our first long-distance motorcycle trip on our new Harley less than a month later. It wasn’t a cross-country trip (that’s planned for the Spring), but before the weather gets too cold around here we wanted to get in a few multi-day trips. 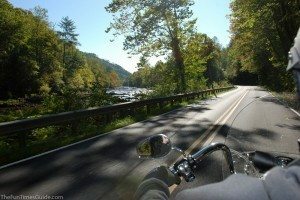 Our first 4-day motorcycle trip was from our home in Middle Tennessee (Nashville) to East Tennessee (Gatlinburg) and North Carolina (Asheville). The Dragon and Deal’s Gap probably come to mind. 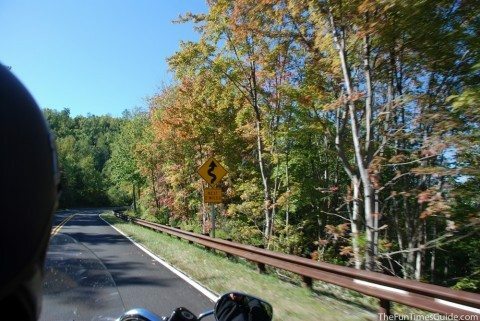 However, we made a point of riding a number of motorcycle loops near the Tail Of The Dragon, not on it. how many super-fast motorcyclists gravitate there to increase their personal speed records. How Our Blessing Bell Saved Us From Gremlins – you do have a motorcycle bell, right? Roadside assistance is something that is often overlooked until it’s too late and you find yourself in a predicament. It’s not until you actually need roadside assistance that you realize how valuable something like that can be — especially for new motorcyclists and those who travel long distances. We haven’t purchased either of these yet, but we intend to. AAA Motorcycle Membership – We like the added discounts at hotels and attractions. However, the AAA Motorcycle FAQ is a must-read. 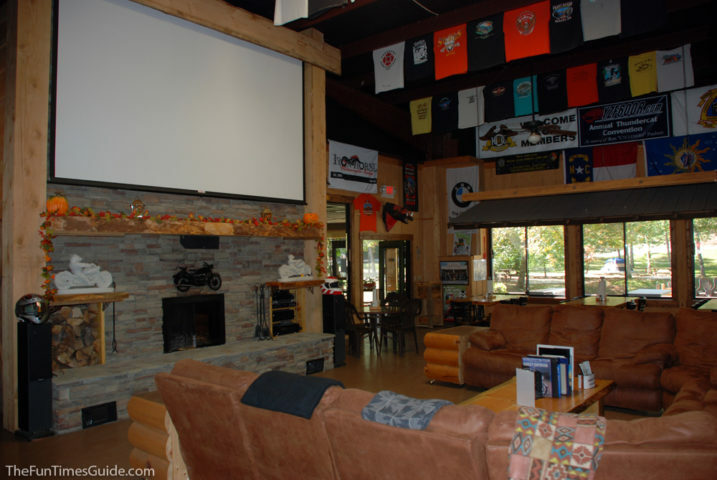 Harley Owners Group (HOG) Membership – Fun stuff just for Harley riders. Interesting benefits include 15% off at Best Western hotels and 17% off your AT&T monthly bill! My wish list of fun & practical motorcycle stuff is growing daily. I’ve bookmarked this page of Harley gear on Amazon. They’re always adding new things. I refer to the categories in the lefthand margin quite often. UPDATE: After a 5-week cross country trip on the Mother Road (Route 66) on our Harley-Davidson Road King Classic, we traded it in just 1 year after we bought it. It was on that Route 66 trip that we realized we wanted the next level in terms of comfort for all these long-distance rides we do. So, 1 week after we returned from the Route 66 trip, we traded the Road King in for a 2013 Road Glide Ultra. We’ve taken several long trips on the Road Glide already including: Key West Florida, North Carolina mountains, and Alaska — yep, another 5-week cross country adventure! We have lots more fun Motorcycling Tips & Adventures and an awesome Motorcycling Board on Pinterest with unique ideas, tips, and motorcycle pictures from around the web!